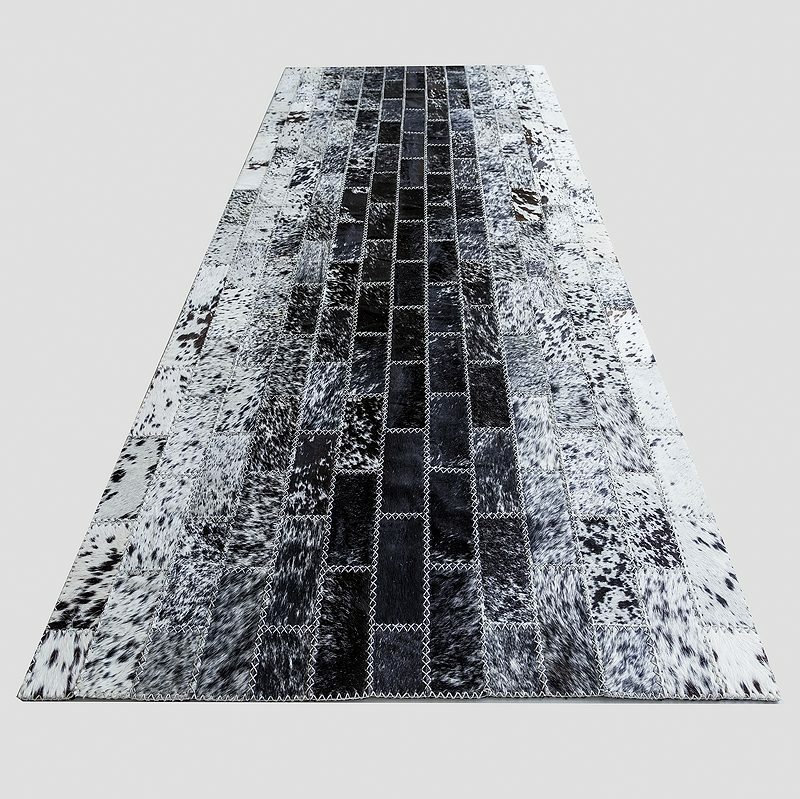 Black and White Handmade Cowhide Rug – with mix of cowhide tile sizes. 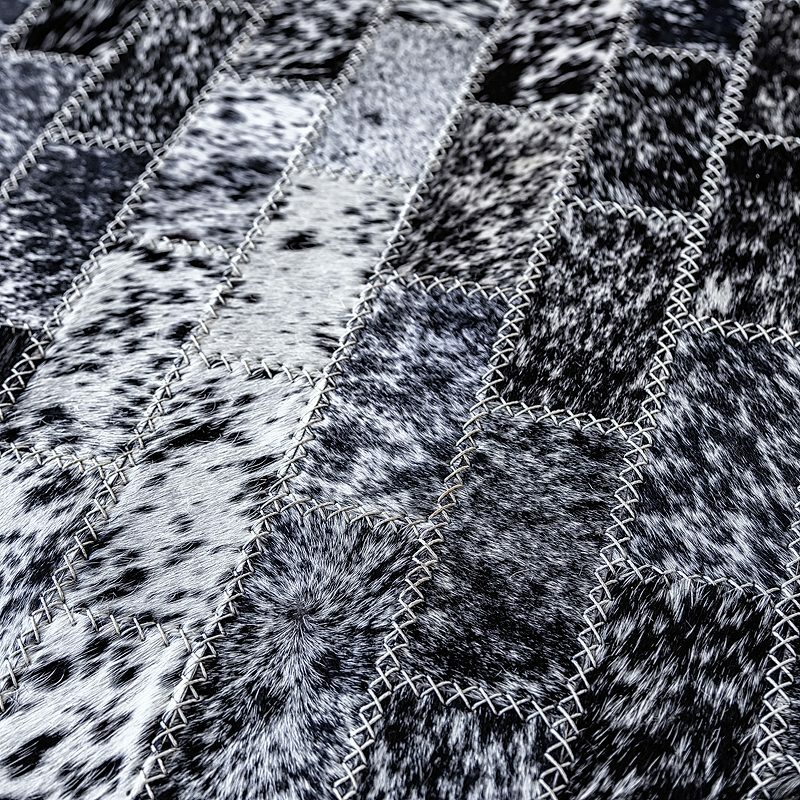 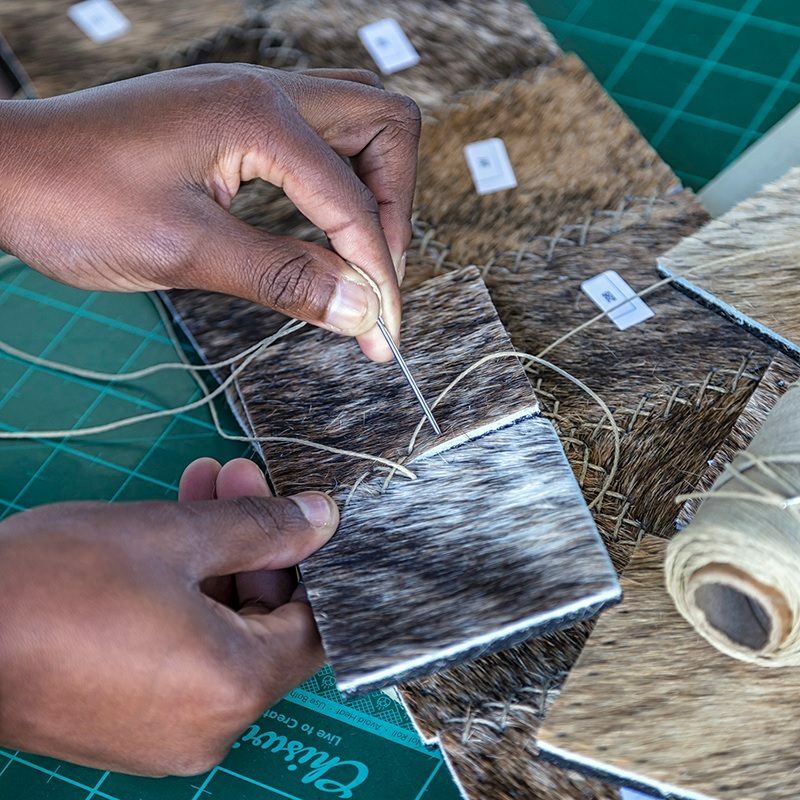 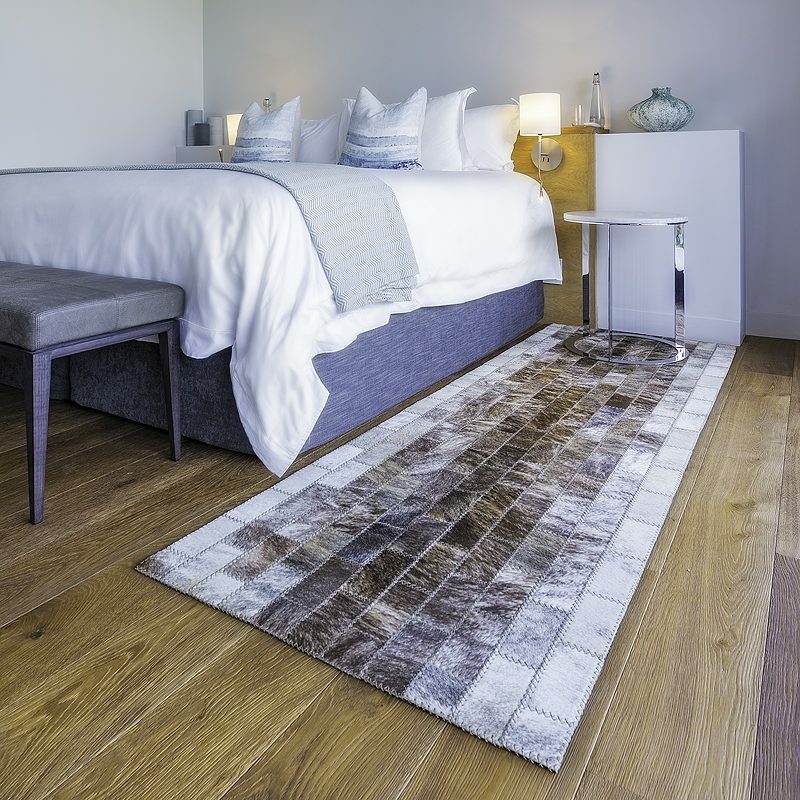 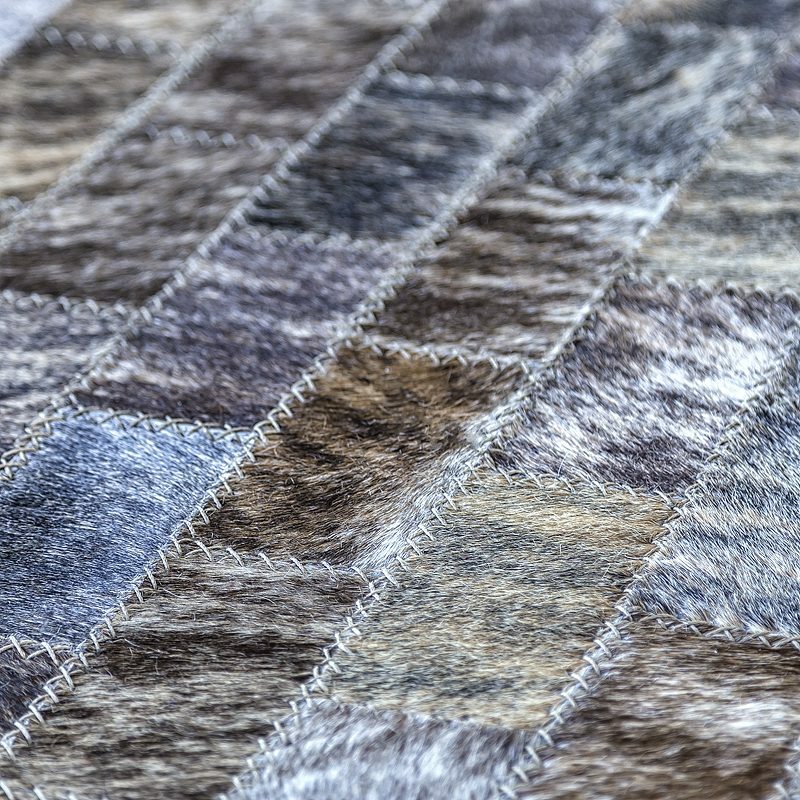 These cowhide rugs are being constructed using a variety of hair-on-hide sized tiles, that were first cut by hand, and then stitched together to form a single cowhide rug (see images with tile sizes as well as, the colour options below ). 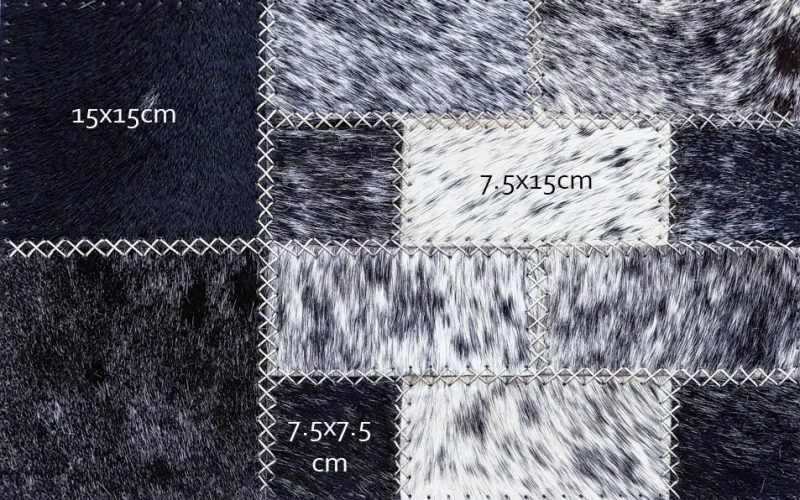 The cowhides are hand selected, top-of-the-line hair-on hide skins, stitched together with virtually unbreakable waxed-cotton thread with a polyester core. 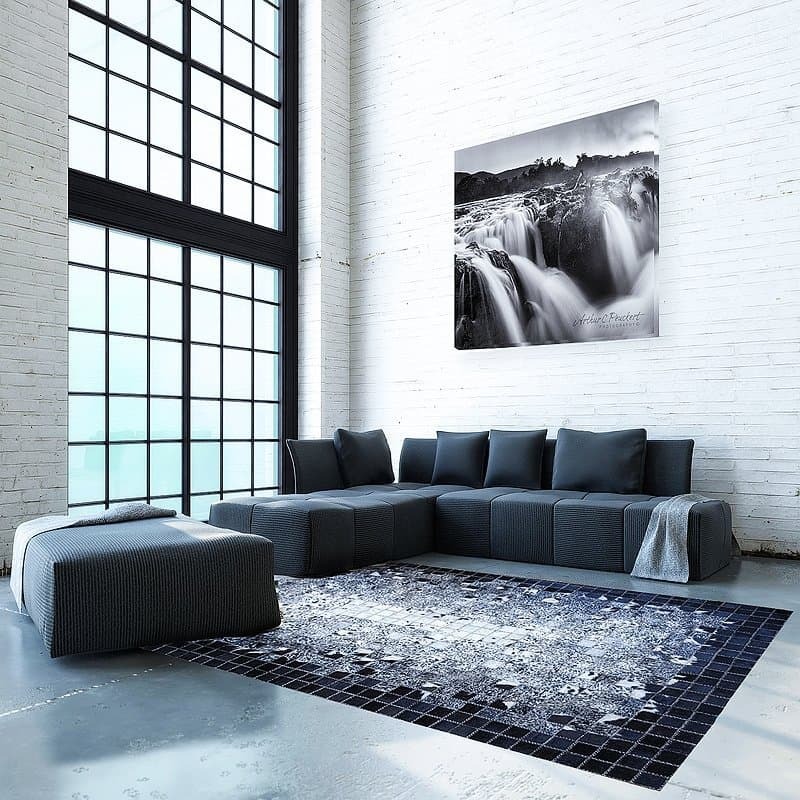 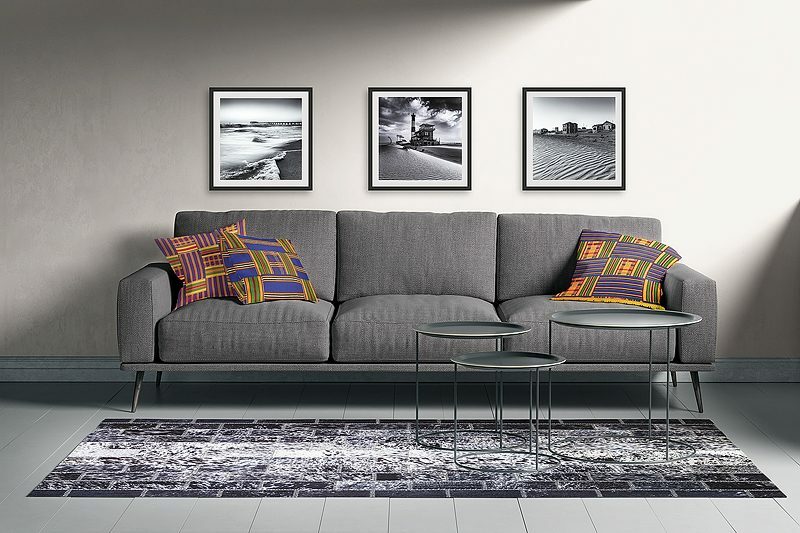 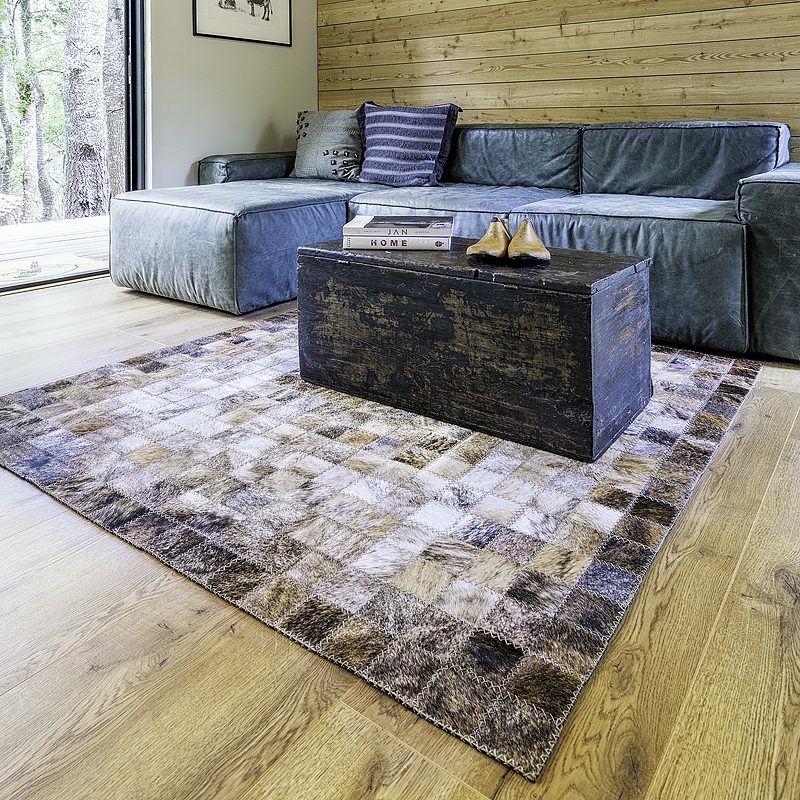 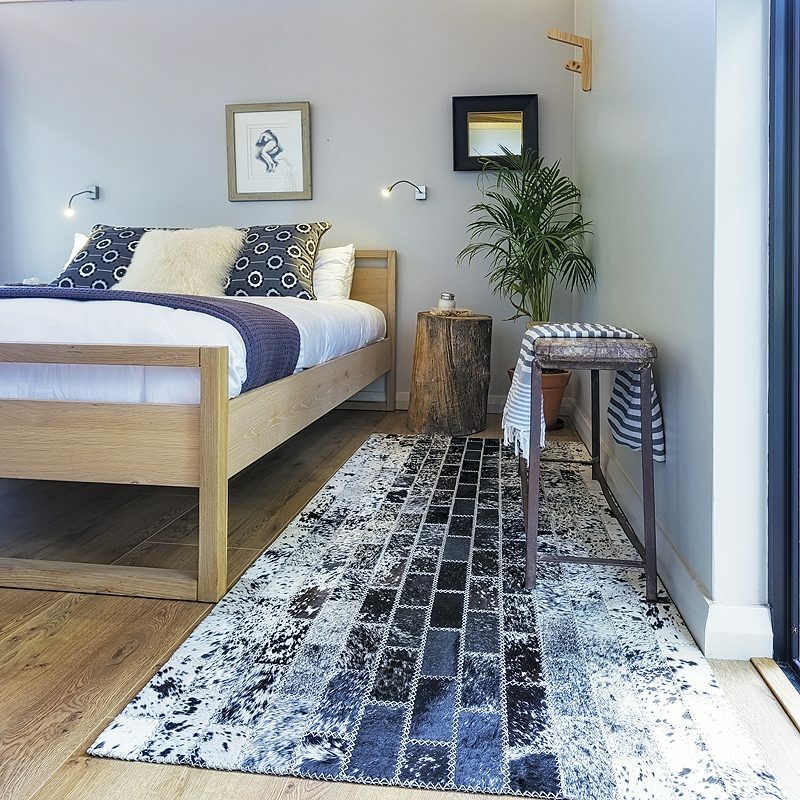 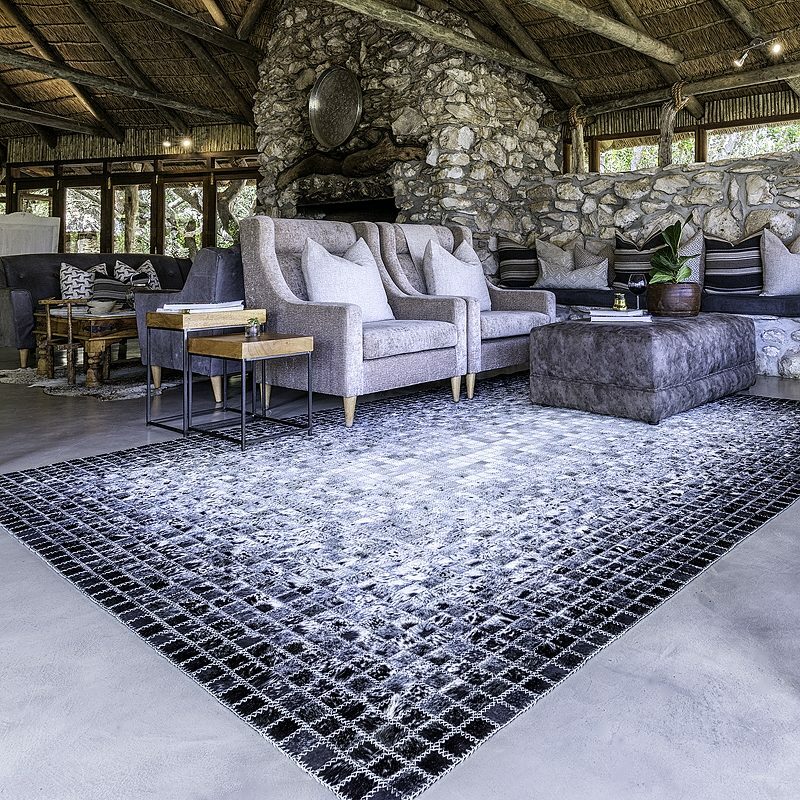 The sustainable backings of the cowhide rugs are made using a 100% recycled rubber, thus ensuring these rugs are sound-absorbing, non-slip and comfortable as well as, uniquely beautiful. 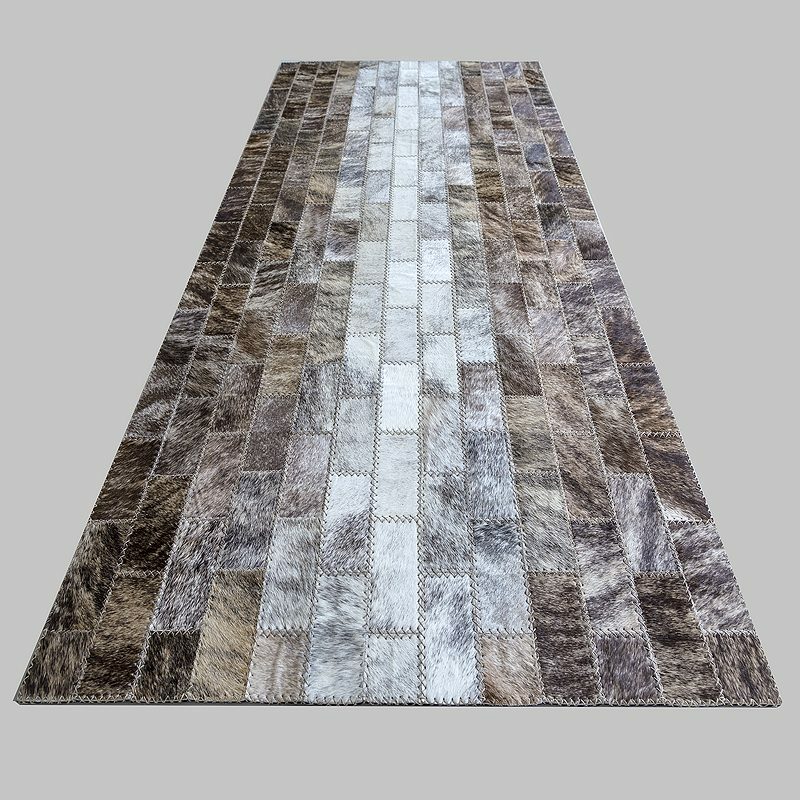 Handmade Cowhide Rug – shades of brown with mix of cowhide tile sizes.